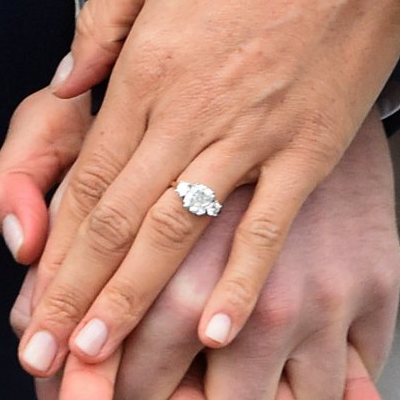 Meghan Markle's custom engagement ring designed by Prince Harry himself features a trio of diamonds. 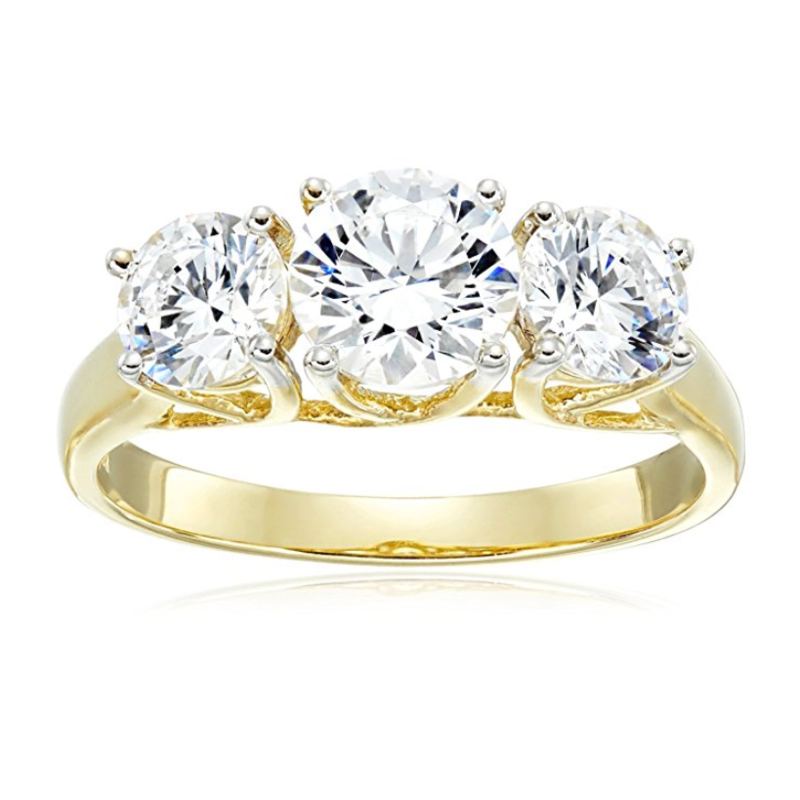 The center stone is from Botswana, a country where the couple has spent some time together. 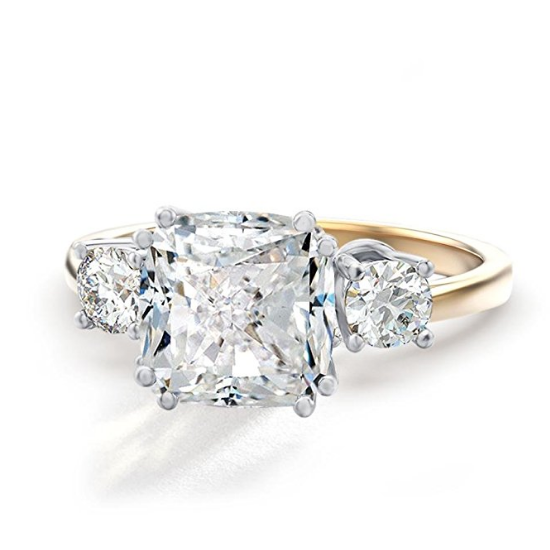 That cushion-cut diamond is flanked by two smaller diamonds from Princess Diana’s personal collection. 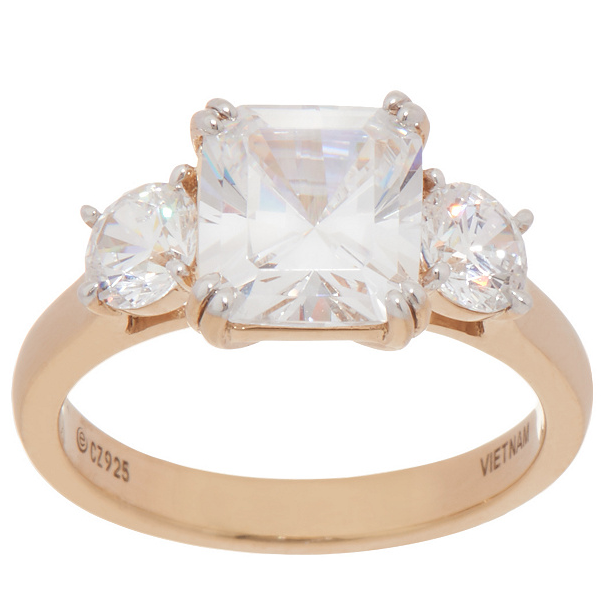 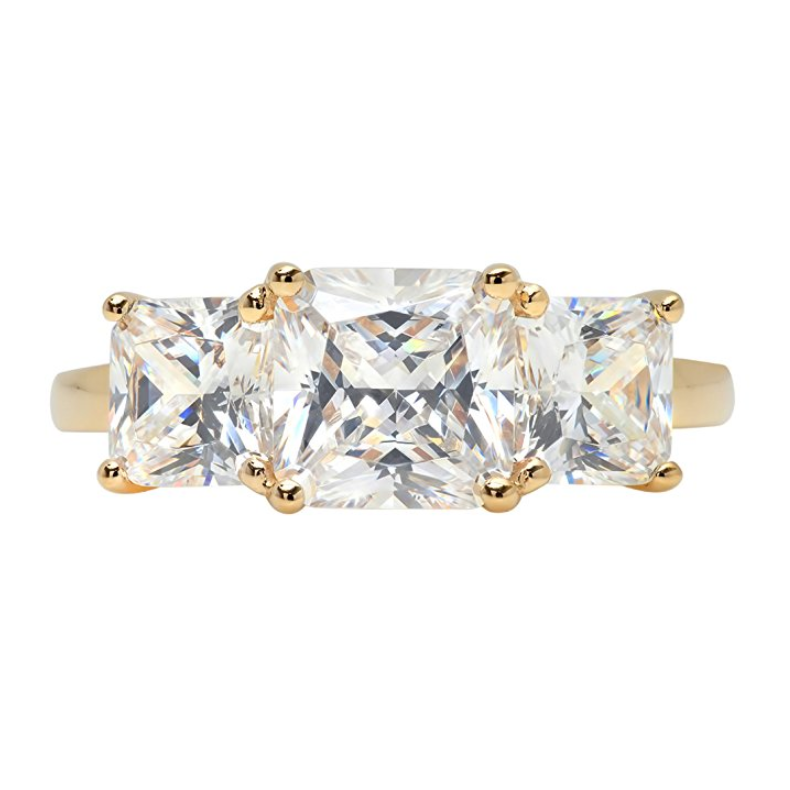 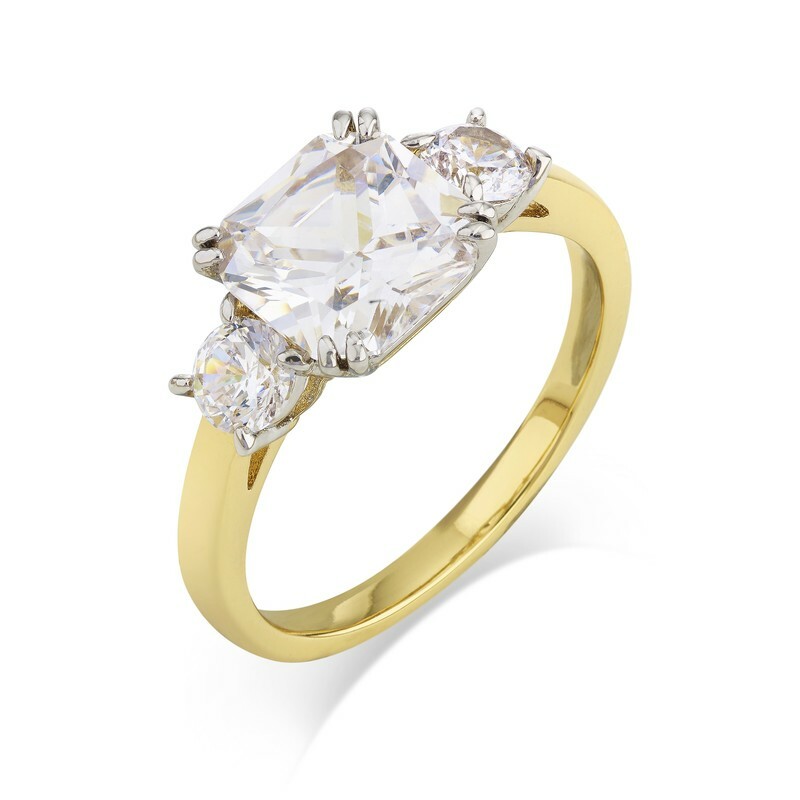 The stones were set on a gold band made by the Queen’s jeweler, Cleave and Company.